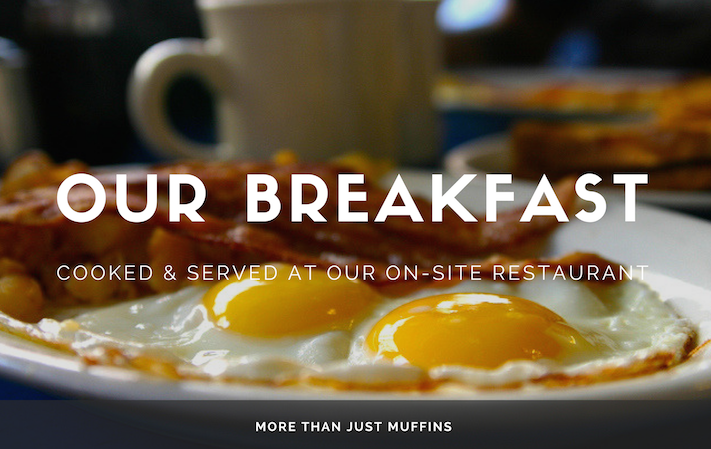 Wake-Up And Enjoy A Hot Breakfast With Us At Our Restaurant! Let our staff serve you a hearty breakfast at our on-site restaurant when you book our "Breakfast Included" room rate for Standard or Premier Guest Rooms and Suites at the Heritage Inn Hotel & Convention Centre in Saskatoon. Guests can choose from select breakfast options from the 'Hot Breakfast' voucher menu at Seasons Cafe & Eatery. To reserve this offer, please call the hotel in Saskatoon toll-free at 1-888-888-4374 or book online to reserve this rate. *Rate is based on single/double occupancy and additional person charges apply for triple or quad occupancy. The rate is subject to room type availability and blackout dates may apply. The rate is not applicable for group bookings and cannot be combined with any other offers. The hotel reserves the right to change the select breakfast options on the 'Hot Breakfast' voucher menu at any time. Sunday Brunch is not included as a breakfast option with the 'Hot Breakfast' vouchers. The 'Hot Breakfast' vouchers have no cash value and are not refundable.